Finding gifts for toddlers is surprisingly easy, given how much safety and developmental restrictions limit your market. Finding gifts for young children presents you with a wider pool to choose from, but kids are still easily excitable in their early years and happy with new toys simply based on novelty, at the very least. As your little one begins to grow out of this easily pleased phase and actually sort through their interest, you may find yourself stumped as to what to give. There are plenty of toys, games, and gifts out there that will help challenge your child’s skills and development, while also providing them with hours of enjoyment and entertainment. Here are 23 of the most popular items on the market, all approved by both parents and their picky 10 year olds. We’ve handpicked the most safe, sustainable, and highly rated products for you and your family. From books to bots, to big laser tag fun, there’s something here for everyone. Happy wrapping! Give your ten-year-old a gift they'll be excited about this season! Our brand new buying guide format allows you to compare the ten best products on the market with clarity and specificity. Don't be stumped about what to get your 10-year-old boy this holiday season or even for birthdays or special occasions! We have recently updated our list to include a number of new products on our list of the 23 best, most-popular gifts for a 10 year old. Check them out below! Who doesn’t love a little mystery? The Hardy Boys are here to take your little reader on five thrilling journeys as they work to solve their very first cases. Frank and Joe Hardy are teenage brothers who also moonlight as amateur detectives. In this starter set, your family will receive the first five cases they solve together, in a series of over 190 total books. Spinoffs such as the Hardy Boys Casefiles features 127 more modern books, with 39 volumes in the Undercover Brothers, and a separate Hardy Boys remake currently alive and well. Joe and Frank uncover clues and follow tactful trails to discover the answers to mysteries both near and far. They are unfailingly chummy in the original books, always working together as the series explores themes of wish fulfillment, masculinity, simple boyhood, and good triumphing over evil. These books are sure to engage young minds, keeping them excited with each turning page as they follow the boys’ tracks and try to solve the mystery right alongside them. A mystery novel is a great way to get a curious young mind involved. The genre practices ample cliffhangers and lots of plot twists as staple devices, which will keep children on their toes. The original Hardy Boys series is a timeless classic, and perfectly appropriate for young children, since its cases tend to be less violent and frightening. Children will see improved vocabulary and reading comprehension skills. Reading also helps to boost creativity and empathy. There’s a large possibility that you or one of your adult friends or family members read parts of this series. The Hardy Boys are a classic. And given that there’s a new series currently out and gaining popularity, this is a nice throwback for kids that enjoy reading, mysteries, or are already captivated by the boys’ latest spin-off. Holy cow, did someone say a whopping 361 piece building set? That’s right, we did. With enough pieces for almost every day of the year, the building options for your child are nearly endless. A little bit of imagination, creativity, and basic engineering goes a long way with the GILI Building Blocks. The act of piecing together and building things from the ground up is often a significant phase in most kid’s lives, so why not give them the potential to build whatever they set their minds to? Your child will have the freedom to build whatever they so choose with easy to piece together parts and moving mechanisms, and hey -- you can even bring your family into the build for Friday nights of construction fun! Critical thinking is important, even at a young age. Visual learning will help your child build and create, while expanding their brain power and nurturing their imaginative thoughts. Imaginations rejoice! The unlimited creativity is what pulls us to this product in particular, we believe an imaginative child is a happy one. Communication is necessary in nearly every aspect of life. For those parents who have pre-teen kids and are torn between the first cell phone debate, why not consider walkie talkies? It may seem like an outdated gift, but UOKOO makes sure that their walkie talkies are as current, and long-reaching, as possible. Aside from the cool designs (five different colors and patterns in all), these devices offer small units that have 22 different channels, easy to use buttons, super crisp audio quality, and a whopping three-mile range between your child and their intended walkie talkie target. Start them off with baby steps an a communication device that will teach them the art of communicating, and we’re sure they’ll make the best of chatting up their neighbors and close friends. It’s like a cell phone without all the commitment! While they can’t pick up and dial whomever they want outside of a three-mile radius, walkie talkies will give kids a feel for verbal communication and how much fun it can be just to talk to someone. We love that these walkie talkies have a long-distance radius. Whether your child is next door or hanging out down the block, chances are they’re within range and able to be reached. Everyone likes a little luxury with their car, and kids are no different. The Epoch Remote Control car has it all in an almost unbelievably way for a remote controlled vehicle, including off-road capabilities for the outdoors as well as gripping capabilities for indoors, 360 degree stunt rotation, headlights and rear tailights, and more than one charging method! When we say that this car is crazy, what we really mean is that we want one for ourselves. Epoch is revolutionizing the world of remote control cars as we know it, and doing it in style no less. Any toy car that has real precision-based turning, grip, and USB capable charing has our vote. Teach your kids not only how to care for a “car”, but how one maneuvers as well. It’s never too late to prepare your kids for the real world, and learning how to control a remote control car can only improve their accuracy and hand-eye coordination. In the toy world, this car is a Ferrari. We like the sleek look and feel, and how cool kids will feel with this car in their hands. Solar energy is a doorway to tomorrow’s world; solar panels and solar-powered equipment and machines are popping up all over, and it’s becoming more and more relevant to your child’s future. There’s no better way for a child to learn about powering the future, than by learning how to build his own. Your child will have fun making a total of 14 robots. Start with the basic instructions for beginners and then move onto the more advanced bots. Highly detailed instructions to assist you along the way. It is great that these robot devices offer an educational value of introducing solar energy to your child; while it is a go to for families who are supportive of the environment. Solar energy is one very dynamic way of utilizing natural energy power. Its a really nice thing when we can find things that will directly introduce your child to how this works. The educational value of a toy is always really appreciated by families and especially kids. This offers the introduction of solar power. Sun energy is quite dynamic and this is a great way of introducing the concept of how the sun can make things actually move to your child. Your 10 year old boy’s eyes will grow with amazement as he tries to conquer the skies with his very own quadcopter drone. The UX5C RC Quadcopter Drone comes with a high resolution video camera and a unique Intelligent Orientation Control system that allows for faster transition in the learning phase by ensuring maximum stability both before flight and during flight. The 2-megapixel camera shoots pictures and records videos at HD quality. The quadcopter comes with 2 modes – one for beginners and one for advanced users where they can perform many excellent tricks. This is a drone that is really creative in its looks, and will teach your kid the purpose of a high resolution camera on a drone. A high resolution camera is built in for many reasons, but the fact that your child will be able to work with one on his first drone, will teach him a sense of maturity and responsibility, when it comes to working with technology and cameras. One can argue that the price is steep. Like this product? You can view more awesome drones for kids here. It’s an excellent way to reinforce all the skills that your 10 year old boy needs to develop. It also fosters creativity and imagination as your kid will be creating aerial pictures and videos for his own use. What do boys love best? All things rugged and tough! That’s why the Maisto RC Rock Crawler made our Top 25 list of the best. This radio-controlled truck is a must own for any kids who love being outside and have a fascination with toy trucks and, well, just being boys! This tiny truck is packed with actual suspension, as well as tires that grip any terrain to make it a fully functional offroad vehicle. We’re digging the long-term potential in this toy, it’s built to last and to take on even the most active of kids. Prepare your boys for the big leagues with this off-road car, you never know -- they might become big time off-roaders someday. If your kid has the chance to get outside either in the dirt or on the pavement. This is the toy that is sure to be a hit for youngsters. This will teach a kid how to use a multifunctional operating system, like how the gears can be set to high or low. Excellent way to help reinforce imaginative play. If your kid’s friends have an R/C off-roader of their won, this can be a unique way to encourage competitive play. If your kid aspires to become a law enforcement officer or even a marksman, they you can give him the N-Strike Elite Precision Target Set. The toy set comes with the Firestrike blaster, 10 pieces of high quality suction darts in 2 colors, and a target which can be hung or propped to stand. The precision light beam of the N-Strike is activated by the Firestrike’s light beam trigger making for a very accurate target shooting practice or even competition. Want more like this? Then head over to our best nerf guns of 2017 article. It’s important for boys, especially at a pre-teen age, to have some sort of outlet given the full-on energy most of them have. The N-Strike provides that outlet, all while training them to improve hand-eye coordination and precise physical skills. It is a great way to foster your kid’s concentration and focus. It is also great for enhancing balance as well as coordination, not to mention lightning-quick reflexes. Some kids truly just love a challenge. Think Fun brings the challenge to your child in the form of a gravity maze that is sure to please, delight, and keep them busy for hours. The maze presents kids with challenges which require the full range of their critical thinking and logic skills to piece together and complete. With 60 different challenges that include tower-building, marble tracks, and target goals, your child will learn hand-eye coordination as well as basic the beginner logistics that require solving each puzzle. Puzzle goals become more challenging as the build goes on, and can turn easily turn into fun for the entire family! This is a really great maze to teach your child about gravity; as complex a system as it is, your child will learn the benefits of how it works through this puzzle. The awesome colors used in this puzzle are effective in activating memory enhancement. This is the ultimate game for fostering your kid’s strategic thinking skills, planning skills, and spatial reasoning skills. It requires logic and critical thinking so that, like in a maze, the marble will reach the objective in the least amount of time and unimpeded. Instead of giving your 10 year old boy a self-balancing hoverboard that can explode anytime, you can give him a safer alternative, the Caster Board by RipStik. This improved version of the skateboard comes with a 76-mm polyurethane wheels, spiked traction pads, ABEC-5 precision casters, and a concave deck design. Its 360-degree caster trucks and pivoting deck simulate snowboard riding. The board can take an adult weighing no more than 220 pounds. Balance is what this board comes down to and has to offer, aside from loads of fun. If your kid is looking to work on his balance, this board will do the trick. A step up from the traditional skateboard with a bit of a twist, for great fun. The board helps enhance balance and coordination while strengthening core and leg muscles. An excellent way to develop tricks, too. Many of today’s homes employ a variety of smart home technologies from security systems to access controls and intelligent appliances. Now, your 10 year old boy will also have his very own security system right in his own room. The Room defender comes with a 24-page manual that illustrates how to program the security system. The device can mimic security lights, sirens, and other sound effects such as barking dog and laser shots, just to name a few. The kid security system also comes with a door alarm programmed to a specific secret knock, access codes, and/or key cards. Your child will be able to learn the basic computer skills needed to program in a basic form. If you know anything about todays day and age. There is a lot for kids to learn about computers and the skills needed to program them. If your kid is a little techy, it could be loads of fun as his first toy to introduce technology. We love the idea of introducing the concept of property security to kids. With this toy, your 10 year old boy will have countless hours of tinkering with the programmable settings of the security system. Minecraft has taken over the world! Not really, but at least in the eyes of today’s kids it has. The good news is that it’s not just a video game, now your child can welcome the modern-day legos and build their own Minecraft universe. The Dungeon comes complete with 219 buildable pieces designed to encourage creativity and design an entire new world. This buildable Dungeon kit is interactive, and allows kids to stage their own surprise zombie attack and combine worlds with three playable figurines. There’s nothing more powerful than a child’s imagination, creativity is the key to helping your child grow and learn. Minecraft is blowing up at the moment. View the best Lego Minecraft sets here. LEGOS are known to provide lateral thinking for kids. They offer an exciting tool to work with. The instructions are very detailed to work with, so your child can also improve literacy in reading. It’s fun for 10 year old boys. We have seen how creative kids can be playing Minecraft on computers. Now, their creativity can be better enhanced with this playset as they get to actually feel the building blocks they are using. Children will always be fascinated with things mechanical and robotic. They can now have their very own fully functioning robotic arm with the OWI Robotic Arm Edge. The system comes with a unique controller that commands different elbow, hand, wrist, and finger movements. The controller comes with 5 switches wired to 5 motors and 5 gear boxes on the robotic arm. Together, these control the movements at the 5 joints of the robotic arm. Robotics is leading the charge in building a sustainable future. From the smallest things such as remote-control cars, to grand scale artificial intelligence and drones, your child will learn that virtually anything is possible with the right tools and engineering. It has been considered to be “too slow” by some. The robotic arm is a useful tool in helping kids learn about joint movement and finger manipulation. Learning some of the essential concepts in robotics can also be enhanced. The world’s smallest robots, these 1” machines are programmable. They will dance, race, and play games right out of the box. There are so many ways for kids to interact with Ozobot Bits by downloading activities from the website or by creating their own games. Young kids will enjoy playing in-app games alone or with friends creating race tracks and mazes for the Ozobot Bits. Older kids and teens can expand their knowledge and skills by downloading more advanced activities from the Ozoblockly website using their iPad. These are entertaining for small kids with plenty of room to grow with interests. Encourages creativity in creating games and competitions. Useful for creating social interaction and fun at parties. A great way to interest kids in learning to code. The system is quite easy to use and helps foster your kid’s understanding of science, technology, engineering, and mathematics principles. It is also excellent for encouraging your kid’s creativity and imagination as he gets to create his very own robot world. If skateboarding is too dangerous for your kid or you think that he is still too young to be riding a bicycle, then maybe you need to get him the E100 Electric Scooter. At the very least, he won’t have to pedal that much. The E100 comes with a rechargeable 24-volt battery that can run continuously for 40 minutes on full charge obtained after 12 hours. The rear brake system is activated by a lever on the handrail. It also comes with a pneumatic front tire that ensures a smoother ride. You can see more products like this by visiting our guide to the best electric scooter for kids. Your child will enjoy going fast on this red rider scooter. He will have the opportunity to feel a bit more mature in his rides out and about. He can have a blast racing his friends as well, which teaches good competitive play. The Scooter is safe, so your child can have a good ride around the neighborhood--to feel as though he can venture out a little further than just the good ol' back yard. Then return home safely, and happy. It’s comforting to know that the power system of the E100 is UL-approved. At the very least, you won’t have to worry about electrical fires or the scooter exploding. Great for strengthening balance and coordination. Do you think your kid has what it takes to master card and casino games? You can try this with the Mega Screen 7 in 1 Poker system developed by John N. Hansen. The device features 7 electronic card games in 1 such as Play Draw, Joker’s Wild, Bonus Poker, 2’s Wild, Double Bonus Poker, Double Joker’s Wild, and Double/Double Bonus Poker. The device automatically shuts off after remaining idle for at least 2 minutes. This a good stimulating device for those long trips or vacations. The ones where you kids need something to entertain them for hours on end while driving in the car; while using this device your kid will also be working with numbers and addition. It will be a good tool to enhance your kids math skills. While we don’t recommend gambling, the toy is perfect for reinforcing your kid’s ability to read patterns and make more accurate estimates or predictions of what will be drawn next. It’s more like introducing the complicated game of calculated risks to your kids. Many kids are fascinated about how ordinary things work. Your 10 year old boy will surely be fascinated with the Electronic Playground as it features more than 50 electronic circuits which your kid can tinker with without ever using any soldering tools and equipment. The 10.2 x 12.5 x 3.8-inch electronic board comes with very interesting details about voltages, resistors, electric current, capacitors, and an easy-to-follow instruction guide to build metal detectors, alarms, finger touch lamps, and even transistor radios. Love this product? Then read our guide to the best science toys for kids in 2017. While in use this toy will teach your kid to build and create the ordinary things he may find around the house. This means he will also be learning to fix things. As an adult it is a good thing when we know how to put things together hands on and fix the minor things around the house. This may be one of the first tools in teaching your child to fix objects that require voltage. Some kids may find it boring after a while. The toy is perfect for introducing electrical concepts to your kid. It enhances his creative and critical thinking skills including appreciation for causal relationships. Another fun and exciting drone is the Kodo Unmanned Aerial Vehicle. This quadcopter is so small that it should be easy to fly. It comes with an HD camera that shoots high resolution pictures and videos. It runs on lithium polymer batteries and comes compete with extra blades for quick rotor replacement. It can be flown both indoors and outdoors. Basically any device that flys and utilizes batteries are going to enhance their maturity and help them grow in that area; this is generally because when a child is using a flying device that operates under their control it shows them depth perception and distance between all spaces. The maturity part is about being cautious and aware of their surroundings, while also caring for such a delicately intricate device. The battery also requires mature upkeep. It is a fun way to encourage your kid’s fascination of flying objects. It can also help foster a sense of coordination, creativity, and imagination as controlling the little drone can be considered art on its own. What’s better than watching archery? Being able to actually participate in it! With the Air Hunterz Z-Curve Bow, your child has that chance. They can hone their archery skills and competitive aim with this super safe bow and arrow set, complete with comfortable grips and three arrows with suction-cup ability. Have fun with your kids and turn the backyard into a safe target practice with them, allow their imaginations to run wild as they improve their accuracy and coordination. Archery is a sport that’s in the process of being rediscovered, and now kids can have access to all the fun without the fear of injury to themselves or someone else. Imagine looking off into the distance at a dart board, way off into a nearby field. Think of a young person growing to be an avid bow hunter, who was first introduced to aim perception through this toy. This toy will show your child the benefits of knowing how to use a bow and arrow. We love the safety that this toy boasts. At one point, archery was seen as a way to hunt and nothing else -- now it’s a legitimate sport, and another option for your child to actively engage in without worry. Remember going to the laser tag arena as a kid and gearing up to take down the other team? Well now you and your family can enjoy all the fun of laser tag without the lines, expensive entrance fees, and commute. The Kidzlane Infrared Laser Tag set comes with four guns in different colors. Each gun has four settings: pistol, shotgun, submachine gun, and rocket. They make noise when they fire, and shoot up to 130 feet in distance. The digital life bars and available shots let you know how much life and ammo you have left this round. Great for indoor or outdoor use, this set will get kids up and moving! Play every (wo)man for him/herself, or team up with another color to take your opponents down. The guns are the targets, eliminating the need for clunky vests or armor, and if you play in team-mode, the gun adjusts to make it impossible to accidentally hit your own teammate. This is perfect for parties, group gatherings, or plain old family fun! This set will get kids up and moving, as well as improving accuracy, hand-eye coordination, and cooperative teamwork. It’s a fantastic toy if you want to keep your family active, but have children who aren’t always interested in playing sports or getting on the playground. It’s a fun group activity and pretty easy to understand. You can pick what kind of gun you want, and each setting affects your ammo and your firepower. The guns are powerful, and make for a super-fun late night game! They’re easy to travel with and can be used inside or in the yard. A timeless gift is something that never falls out of date or becomes a thing of the past, and Star Wars is something that will forever be timeless for generations to come. While a clock may not seem like something that will always bring a smile to your child’s face, the LEGO Storm Trooper alarm clock by Disney is set apart from most. A digital display makes it easy for your child to read and learn how to improve time-management, and of course, you can’t get much better with a Storm Trooper design. True to Star Wars, this alarm clock will challenge your child to choose every morning -- come to the dark side and oversleep, or fight with the light and be on time? No one ever said having a Storm Trooper wake you up was easy! Find more awesome products like this in our best alarm clocks for kids article. What better way to tell time, than a brand new alarm clock for your kid. This is perfect when it comes to teaching your child the importance of waking up early for school, or work. Or just to be creative and productive in the early hours, or late for that matter. No matter what time of the day it is, your child will find it important in keeping track, and learning the concept of time. Taking an everyday, mundane object and turning it into a fun way to wake up in the morning is part of the allure of this alarm clock. To a kid it’s not just an alarm clock -- it’s their very own Storm Trooper come to life, that happens to tell them what time it is. Reading isn’t always the most fun thing in the world for a 10-year old boy. However, we beg to differ when it comes to The Boy’s Book Of Survival. This amusing and witty book takes the most average of situations and turns them into methods of survival, for example shopping with your mom, or simply getting through a pop quiz in class. When you’re a kid, all of these things seem trivial and apocalyptic, and sometimes a pre-teen boy just needs his own survival guide. Tucked in between the everyday survival situations are actual situations where survival skills are needed, making this guide a must have for any kid’s bookshelf! What better and fun way to teach your kid the basics of growing into human experience, your kid will learn all about how to survive the most extreme situations. Which you know is very important, give your kid a good laugh, and extended creative play on how-to-survive any situation; make believe or real. The book can help your 10 year old boy to think out-of-the-box in any kind of situation. It teaches them how to adapt as well as how to respond to a particular event. Great for fostering creativity, problem-solving, critical thinking, and logical reasoning. The dreams of NASA aren’t too far away with the Blast Pad Pro Missile Launcher. It doesn’t have real rocket launching abilities, of course, your child will have to wait a few more years to do that. However, it is propelled by your child’s weight and can indeed shoot off a faux “rocket”! This rocket has the ability to hit 90 feet depending on how determined your kid is, and helps them to stay active. Among all the jumping and launching they’ll be doing, kids will also get a feel for muscle power and the very basics of speed and velocity in combination with their own kinetic energy. Interesting enough, this can teach your kid the force of his own body, and how it feels to use his maximum strength to make something fly sky high. This is important in building confidence and to further his knowledge on how 'man-power' can make things go-- or fly! The fact that the journey of this rocket is dependent on your child’s own energy and weight distribution is pure science to our ears. We love that they’ll learn the physical science behind their own muscle power, and be motivated to get out there and be active doing it! There are times in life known as the “in between” phases. Such as the ripe age of 10. Some have begun to see hormonal changes while for others these changes are just around the corner. They are not quite old enough to be a teen but finished with early childhood. With this comes a change of interest and a desire to fulfill a sense of curiosity as they have become old enough to form and develop their own passions and dislikes. It can be a challenge to find something that will keep your 10 year old engaged and excited; here is a list of some wonderful options for the little man in your life. This list is compiled with a variety of thoughtful and fun gifts. In the early years, we focus on developing skills functioning as tools for a happy and healthy lifestyle. Some include balance, hand-eye coordination, fine-motor skills, and critical thinking. Planning and strategy are nurtured to expand. Some of the indicated will introduce some building blocks to the mathematical concepts of estimations and predictions. These awesome gift ideas will inspire creativity and the imagination to run wild. With so many distractions such as social media, it can be hard to get your little guy active and engaged. His attention is hard to keep and you want to ensure you can find something that benefits him and your wallet. Some of these will help provide guidance and a sense of control instilling a sense of confidence and well-being for your growing boy. Some will help enforce concentration and focus to promote a calm and collected demeanor, possibly after you make it through the teen phase! Providing the opportunity for hours of tinkering and hands-on fun, these items will keep your child’s attention wherever you go. Supporting the desire for adventure, some of these great and durable items will inspire outdoor adventure sure to wear your little guy out. Although many options are more stimulating and engaging for the mind and enforcing fine-motor skills, some focus on the physical point, such as strengthening core muscles and enhancing balance. There are also several options for those lazy days when you’re stuck indoors and he’s craving some serious brain stimulation. These items provide an introduction to STEM studies and help your child to gain a basic understanding in preparation for more complicated concepts. With the holidays just around the corner, we’ve all been on the lookout for the perfect gift. These will offer some stimulating and thrilling options that will inspire and promote both independent and social play. No matter what you’re looking for this year, this list is sure to contain something to dazzle your little guy and help him nurture necessary development skills. They are versatile in also providing hours of fun for on the go, and outdoor adventure, or a rainy day activity!! Giving the correct kind of toys for your 10-year-old boy is important in ensuring his continuous development. Our hope is that we have made the selection process a lot easier for you with our list of the 10 best toys for 10-year-old boys. By age 10, your little boy can already exhibit increasing accuracy in planning and prediction. His ability to use logic and critical thinking to explain reactions is already exceptional. This provides the basis for making more accurate predictions of causality or cause-and-effect relationships. Your job as his parent is to help him to keep on thinking out-of-the-box. This will help facilitate the development and/or enhancement of thought processes that are more sophisticated and complex. They will also learn to predict the consequences of certain actions as well as how to deal with simulated or hypothetical situations. Physically, your 10-year-old boy already has excellent control and coordination of his body. He now is more actively involved in physical activities like dancing, swimming, and other sports activities. They may show a certain proficiency in the performance of a particular activity. This can help develop their talents. Additionally, you can expect your kid to have his growth spurt by this time. He will grow taller and heavier. Their language development is characterized by a lot of experimentation with words. They may already have their own lingo which can make communication very interesting and enjoyable for them. They can already hold in-depth conversations with their peers or adults and they relish the idea of being able to express their thoughts and achievements. Your 10-year-old boy can also begin forming opinions of his own. We understand how challenging it can be to choose the best toy for your 10-year-old boy. The choices alone can literally run in the thousands and picking one will entail exhaustive research. This is exactly what we performed. With our dedicated team of researchers, we have come up with a list of the 10 best toys for 10-year-old boys based on their educational and developmental value, their quality and safety, the reputation of the manufacturer, and what countless other parents and caregivers are saying about these toys. At the very least, you don’t have to choose from thousands; you only have to choose at least one from our selection and you can be assured of a much brighter continuing development for your pre-pubertal boy. Your 10-year-old boy will already show a very keen attention to detail which can provide the backbone for feeling great pride in their designs, creations, or any other work. By this time, they already can appreciate quality in an objective manner. They are now at a stage where they can enhance or reinforce their artistic talents. They enjoy the company of other children and as such would relish team and group activities. However, they do tend to compare their work to that of other children and would often be too critical of their accomplished work. Your role now is how to encourage your 10-year-old boy to be inspired in creating things and to share this passion with their friends. You will also have to show him how to deal with flaws in a more constructive manner. Q: What are learning toys? A. Ten-year-old boys like to have fun with their toys. But it is good to have a goal in mind to help your 10-year-old boy to learn while having fun. A parent wants their child to grow while indulging in recreational activity. The bottom line is, if he’s 10 years old he needs more than the simple and ever-so-basic action figure. But rather it is in his best interest to have a toy that promotes his intelligence and social development. The toys in our list are what can help him to develop both. Q: Do these toys easily break? A. It is important for a 10-year-old to have toys that don’t easily break. It is also important that his toys are easily repaired. The majority of these toys come with a warranty, so even if damaged, they can be fixed. 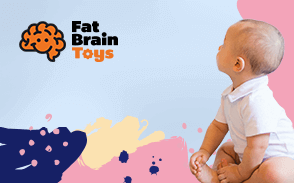 We want you to purchase a toy that is durable, resistant and easily rectifiable if damaged. Q: Are these toys safe for children? A: Indeed. We know there are toys on the market that are potentially dangerous. However, we picked out not only the most fun and beneficial toys we could find but also the safest. It is important that your 10-year-old boy has fun playing with his toy while growing intellectually and socially in peace. Nothing is more important than your child’s safety. Q: Can these toys later be hand-me-downs? A: Absolutely. Every single one of this toys for 10-year-old boys that we have on this list can last for more than 20 years. Not only can your 10-year old’s younger brother play with them when he’s old enough to, but one day your 10-year-old grandson could even play with any one of these toys that were at one point his “father’s toy.” We feel that these toys are not only beneficial for a 10-year-old’s development, but also are timeless toys. They are in style now, but we especially picked toys that we consider to potentially be classic toys. At an affordable cost, you can keep these toys for many years. We hope that if you have a 10-year-old boy he eventually educates younger boys on how to use his fun and helpful toy that he had to spend countless hours playing with. Q: Could a girl play with these toys too? A: There are certainly 10-year-old girls who would enjoy playing with these toys, too. While we didn’t make these list of toys gender-neutral, some 10-year-old girls may be interested in some of these toys and have lots of fun playing with them while developing her mind and social skill. However, we have a section dedicated to toys for 10-year-old girls and we suggest you look at here for a 10-year-old daughter. (where it says here if you click on it, it shows the list of toys for 10-year-old girls). A: This does not matter. The instructions of most of these toys are written in more than one language. The toys we carefully picked out are very enjoyable and beneficial for 10-year-old boys from all around the world. It is our aim for 10-year-old boys to have spent countless hours enjoying themselves while learning and developing their social skills as much as possible. There are many positive reviews for these toys, describing our list of toys as good, fun, easy to play with and worth the price. We believe that regardless of where your 10-year-old boy resides, he can have fun while developing his mind and social skills from any one of these great toys.